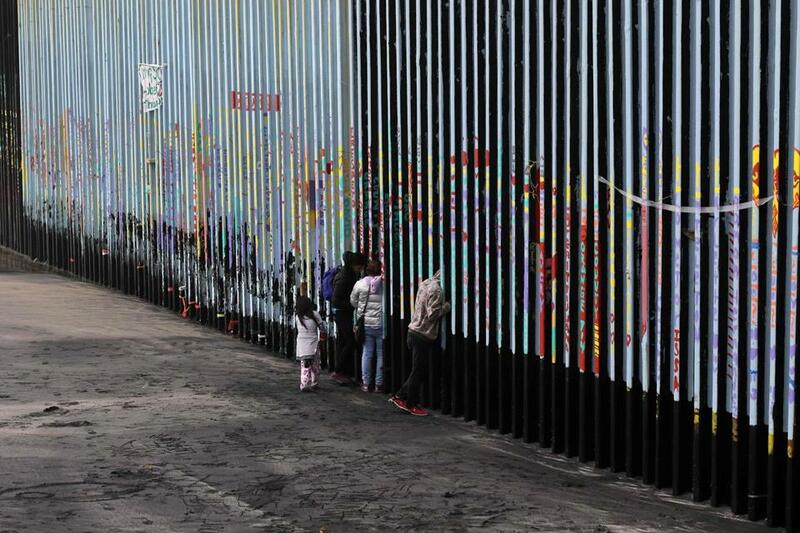 A family of Central American migrants looked through the US-Mexico border fence, as seen from Playas de Tijuana, in Baja California state, Mexico. A report from the Health and Human Services inspector general’s office found that family separations were occurring before the spring of last year, when the administration announced its ‘‘zero tolerance’’ policy on the southwest border. ‘‘The total number and current status of all children separated from their parents or guardians ... is unknown,’’ according to the report. It could be thousands more because family separations were taking place much earlier, during an influx that began in 2017, investigators found. Despite ‘‘considerable’’ effort by the department to locate all the children who were placed in its care after immigration authorities separated them from their families, officials were still finding new cases as long as five months after the judge’s order requiring reunifications, the report said. Investigators raised concerns about the children who have not been identified because they were not covered by Judge Dana Sabraw’s reunification order. That directive did not apply to ‘‘an estimated thousands of children whom (immigration authorities) separated during an influx that began in 2017,’’ the report said. Most of those children would have already been placed with sponsors before the court case. ‘‘There is even less visibility for separated children who fall outside the court case,’’ investigators concluded. ‘‘Zero tolerance’’ for border crossers, under which everyone who enters the U.S. illegally faces potential criminal charges, triggered the family separations. Children cannot be kept indefinitely with parents or relatives under federal detention.